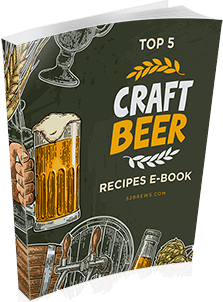 The brewing methods involved in creating sour beers are among the oldest in the entire brewing industry. 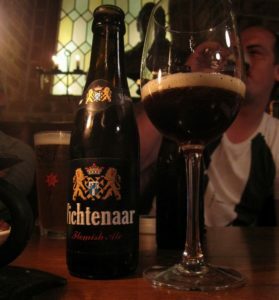 Dating back hundreds of years, it is still a style of beer that is very popular in Europe, especially Belgium. 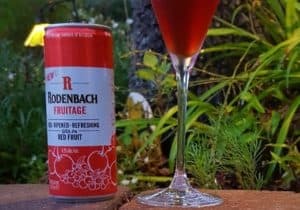 In fact, the oldest operating brewing company specializing in brewing sour craft beer is the Rodenbach Brewery in Belgium. 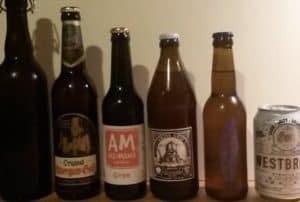 If you have done some taste-testing of Belgian brews, then the chances are high that you have knowingly, or unknowingly, tried sour beers. 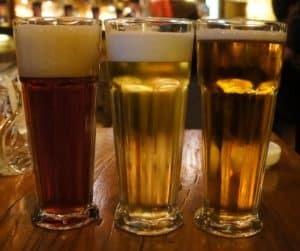 Here at 52 Brews, we are big fans of the amazing range of flavors that are available in this very traditional, and unique, brewing process. It is an under-appreciated type of beer that will definitely light up your taste buds again. 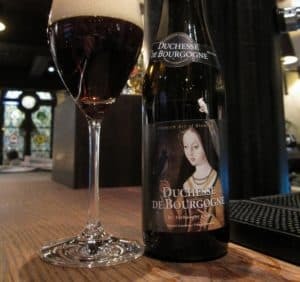 Allow us to recommend you the best sour beers that will make you fall in love with this incredible style. 2 What Is A Sour Beer? 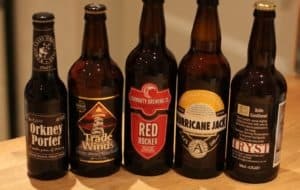 After a couple of very long and very enjoyable hours of testing, we have managed to come up with this list of 15 beers that we think you should seek out at your local store. 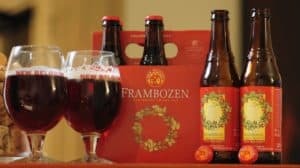 Brewed by Verhaeghe in Belgium, this traditional sour Flanders Red is 100% natural, unpasteurized and, fittingly, makes the top of our list. It has a reddish-brown color and an earthy aroma that comes from the oak barrel it’s fermented in. A very appealing sour, it has a 6.2% ABV. The Westbrook Brewing company is based in South Carolina, and they were one of the first to resurrect this traditional German wheat beer. The salty coriander taste is actually very refreshing and not too overpowering, with an ABV of 4.0%. This is definitely one for warm summer evenings. This Flanders Brown Ale comes to you courtesy of the New Belgium Brewing Company in Colorado. Made using a long wood barrel fermentation process, it brings you very typical sour flavors. It’s packed with rich fruit flavors, including cherry and green apple, for an extra bit of acidity. At 7% ABV, this is not for the timid palate. 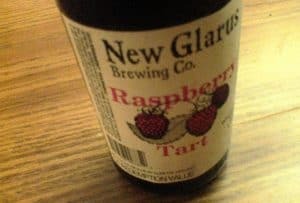 This fruity sour has a very distinct flavor of raspberries, which are added during secondary fermentation. What is wonderful about this beer is that it’s traditionally brewed through spontaneous fermentation for a more authentic sour flavor. At 4% ABV, it’s not too strong for those new to this type. One of the most refreshing choices is this Fruitage from Roeselare in Belgium. 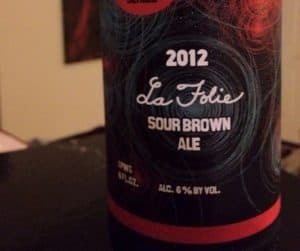 With a very high fruit content of 9% and a blend of young and old aged sours, it provides a wonderful combination of sweet and sour at a perfect 4.2% ABV. This is one of the stronger options available from Illinois at 8.8% ABV. 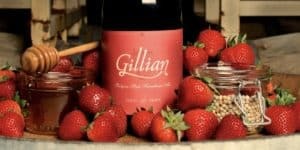 Along with that punch, it has an amazing combination of sour ale, strawberries, and honey, which are added to the fermentation process at different stages. This one is a truly mouthwatering experience. 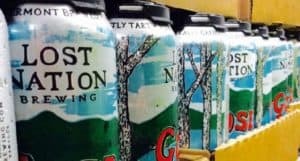 The very dry finish of this craft beer from Vermont follows traditional German Gose techniques using coriander and salt. At 4.5% ABV, it is a very refreshing drink that is most popular during the summer. 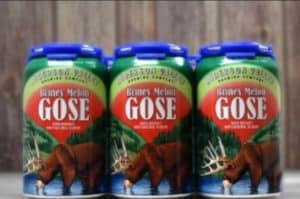 The tartness of this traditional gose from Anderson Valley brings a very refreshing beverage that has an added extra beyond the coriander and saltiness. With a touch of watermelon, there is a little sweetness that rounds off this 4.2% ABV beer. This one is quite difficult to find, so take every opportunity you can to taste this unique blend of sour and raspberry flavors. Fermented in oak barrels, it has a strong sour taste to it and a reasonably strong ABV of 5.7%. Gueuze is a common Belgian blending process, where Lambics of 1 to 3 years are combined to give you a more balanced aroma and 5.0% ABV. Brewed in the traditional way of placing the wort in the open during the winter, it has the full sour flavor you would expect from a good sour beer. 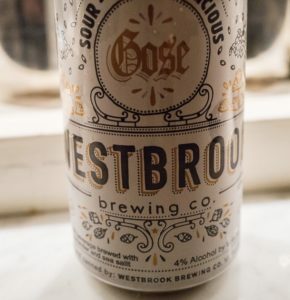 Not just a funky name, this Weisse is brought to you by the Westbrook Brewing Company in South Carolina and has a typical subtle tart flavor that is not too overpowering. For those new to these styles, it is the perfect tasting ground with 4.0% ABV. Another great beer from Belgium and sticking to a 100% spontaneous fermentation process, this one blends 1, 2 and 3-year matured batches into an average of 18 months. 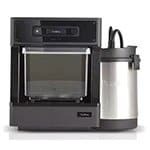 This provides a nicely balanced aroma that isn’t too subtle or too strong. But it does pack an impressive 7.0% ABV. 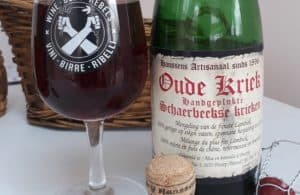 This Lambic is brought to you from Belgium as well and stands out from the rest because of its unmistakable cherry flavors. With a second fermentation taking place in the bottle, it is best left to settle for a while to get the full aroma and 6.0% ABV. 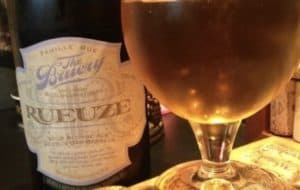 Although it has a uniquely Belgian name, this blend of different Lambic ages actually comes from the West Coast in sunny California. With a more blond and bright color, this oak barrel aged beer has that very distinct sour aroma with a strong enough 6.0% ABV. This sour ale from California follows the traditionally slow process of using natural yeast for spontaneous fermentation. By combining young and old, it has become one of those brews that beer geeks eagerly look out for whenever new batches become available. Although it does pack an impressive 7.0% ABV, so it’s not for the faint-hearted. 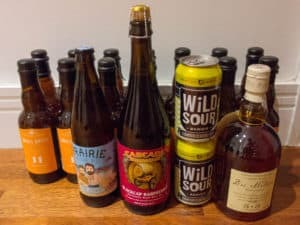 What Is A Sour Beer? 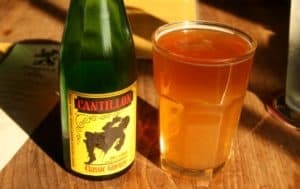 Sour beer is a style of beer that has a distinctive acidic taste, and is achieved through a unique fermentation process involving wild yeast and bacteria. The reason why it’s such a specialized brewing process is that natural yeast introduces uncertainty. This means that fermentation can take many months, and even longer, for flavors to fully mature. But what makes it taste sour? 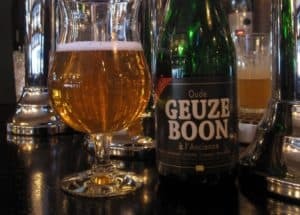 Before modern brewing techniques became widespread, practically all beers had a sour flavor to them. 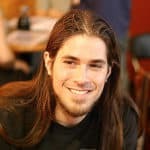 However, in the sterile brewing environments used in modern techniques like pasteurization and sterilization, the two main forms of bacteria used in making sour beers would simply not be able to thrive. The reason these bacteria don’t thrive in sterile conditions is that they require oxygen to become most effective. This is also why the majority of sour beer brewers use old-fashioned oak barrels, which allow for air to enter the maturing mix. 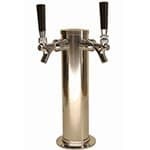 This helps promote a more favorable environment for bacteria to grow into large enough communities to influence the flavor. Alternatively, some brewers use certain types of stone fruit (e.g. apricots) and berries (e.g. black currant) to add a more familiar-tasting acidity. This is especially common in the Berliner Weisse style. 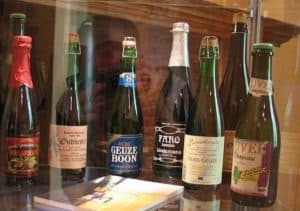 Sour beer brewing has a very long tradition, and because of its popularity in Europe, several different styles have become prominent. These are Belgian unmalted wheat beers that use natural yeast to provide a spontaneous and more natural fermentation. What’s unique about this style is that brewers place the unfermented wort, including malt barley, out in the open air during winter. 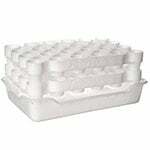 This is to allow bacteria to thrive more easily in preparation for a yearlong maturation process. 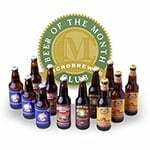 Most Lambic beers are blends of several seasons and often have fruit and berries added. A typically fruity ale, this sour is most often fermented in large wooden barrels that promote some air circulation and bacterial growth. The strong acidic taste is then toned down a bit by blending with younger batches and adding fruit and sometimes vanilla. You can also watch the video below on how to brew this beer style at home. This type is also referred to as Flanders Brown, which has a much darker brown color. The name is derived from its Flemish language meaning “Old Brown,” which refers to the lengthy process used to make this. Initial fermentation takes up to a year, with secondary fermentation taking several weeks to a month. 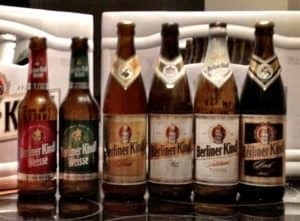 This was once one of the most popular styles of beers in Berlin during the 19th century. 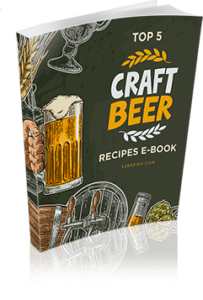 The fermentation process is a lot shorter than the other styles, which results in a less acidic flavor and lower alcohol content (typically 3% ABV). To this day it is still commonly served in Germany with a choice of flavored fruit syrups, and is most popular during summertime. This originated in Germany and is the least common style of sour beer. It’s difficult to find, but if you like really unique flavors, then the coriander and sea salt in this will definitely stir up some completely new sensations. 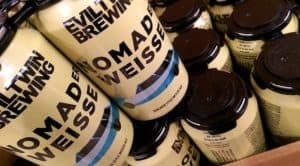 If this has sparked your interest, check out El Gose available from the Avery Brewing Company in Colorado or some of the products from the Island Beer Brewing Company. 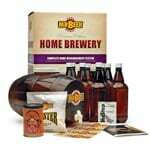 This is commonly used for any American brew that uses natural yeast during the secondary fermentation process. It’s quite rare to find ones that completely stick to the traditional process of using only the wild-type of yeast, but as a result, you do get a more consistent product. 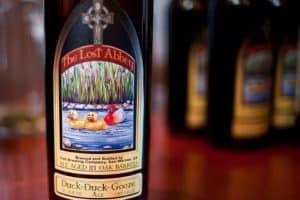 Whether you’re a seasoned beer geek or someone who just likes the odd tipple, this beer is one of those completely underrated choices that will pleasantly surprise you. Hobby brewers will love the different layers of complex aromas present in sour beers, while people who don’t really like the taste of beer (you know those bland white wine lovers), will still enjoy the tangy acidity that makes this style so unique. When you stick to some of the lighter options, it’s like inviting that friend over who just gets on with everyone at a party. Next Post Is Helium Infused Beer Real? There’s A Surprising Truth In The Chemistry!